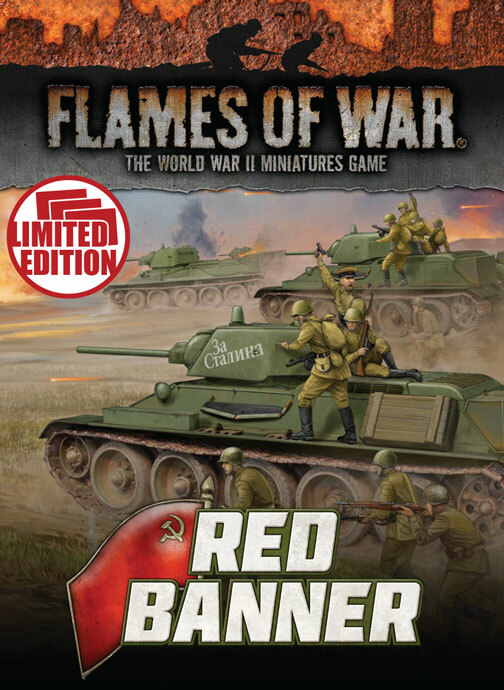 The new book, Red Banner, adds a whole new aspect to the Soviet forces in Flames of War. It combines with Enemy at the Gates to allow you to build a wide variety of forces, with plenty of different play styles. 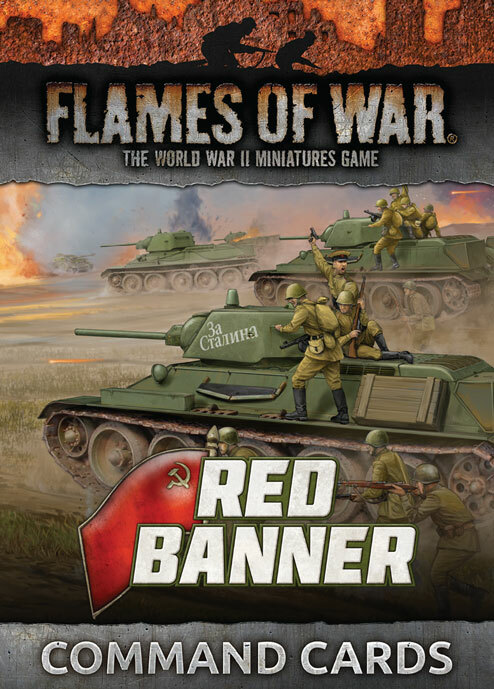 Phil takes us through Red Banner and introduces us to the wealth of new units and models that Soviet players will be able to enjoy. 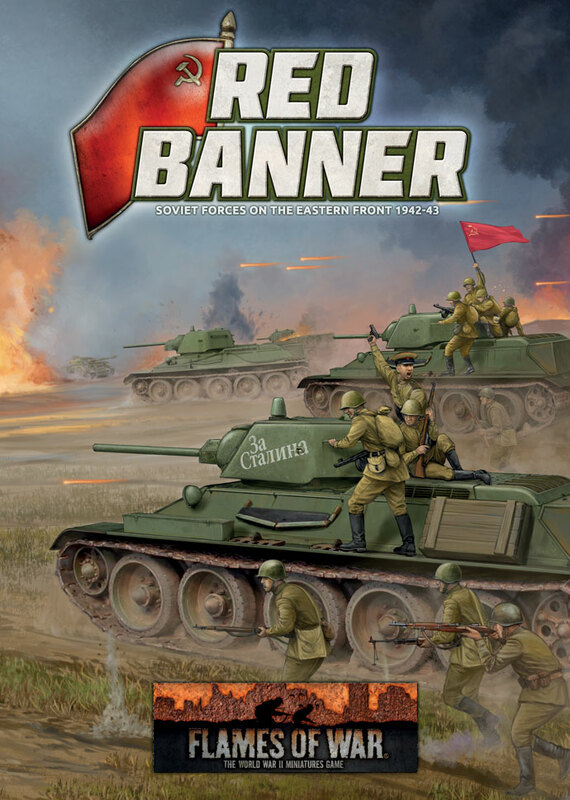 Leytenant Aleksey Zhidkov sat in the turret hatch of his T-34 listening to the rumble of diesel engines as the dawn light crept slowly over the lip of the ravine. Counting the shapes emerging from the darkness around him, it looked like the battalion would have 18 tanks today, so they'd left three on the roadside during the march—none of them his, he noted with pride. The smoke from their exhausts hovered over them like a fine mist. Aleksey felt his own tank vibrating as the big engine idled. He liked to think that it was shaking with anticipation at the coming action. The robust T-34 suited the Red Army. It was simple to make, forgiving of poor maintenance and easy to repair—plus, there were many more rolling out of the factories to replace those that could not be repaired. The latest versions made it much easier for the commander to command while doing their other job as gunner. Their improved hexagonal turret with twin 'Mickey Mouse ear' hatches, often with a cupola for the commander, made the individual tanks faster, and the formations more flexible. 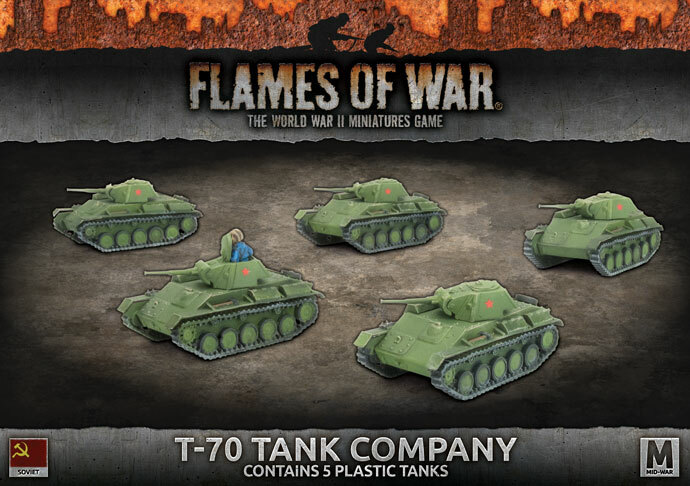 The T-70 light tank used automobile engines and easily-manufactured components to create a tank that didn't need a heavy-machinery factory to build. Despite its small size and cheap price, it still packed a useful 45mm gun, nearly the match of the 50mm gun in the German Panzer III medium tank. 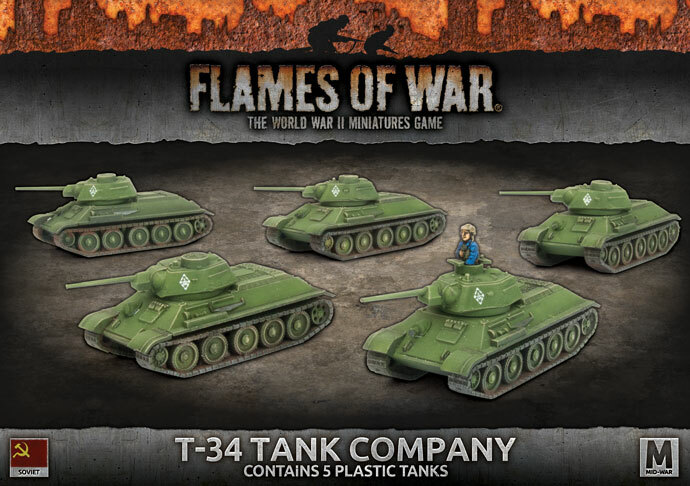 Until T-34 production ramped up toward the end of 1943, two companies of T-70 light tanks replaced one company of T-34 medium tanks in the second battalion of most tank brigades. The Churchill heavy tank was thick-skinned enough to be almost impervious to infantry in assaults and had well-armoured ammunitions bins that were unlikely to explode under fire. 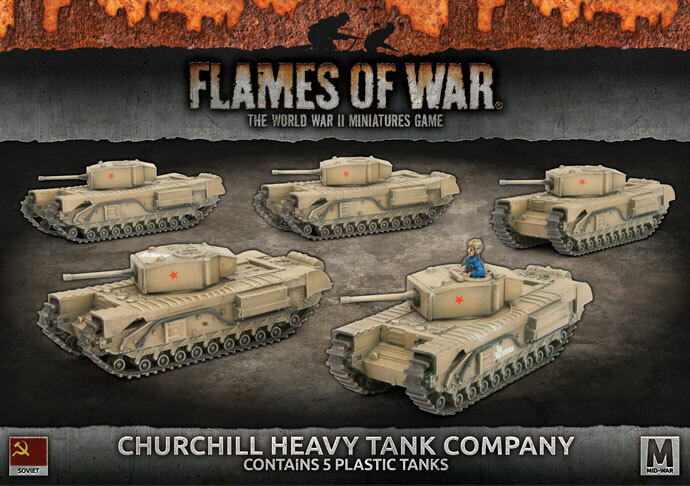 Churchills sent from the United Kingdom as part of the lend-lease agreement that saw so many Western Allied weapons of war sent to the Soviet Union saw an immense amount of action repelling the German invasion. 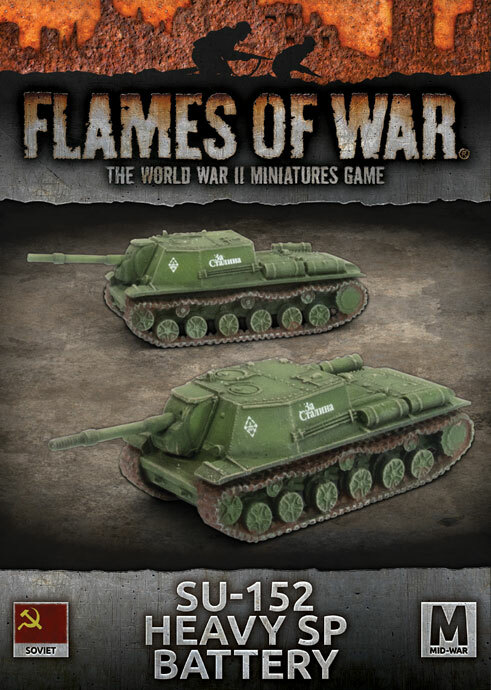 In January 1943 work began to mount the 85mm gun on the hull of the SU-122. The project was started in response to the appearance of the Tiger 1E on the Russian front. After several prototypes were developed the version mounting the D-5S 85mm gun was adopted and pressed into production. In combat the SU-85 proved very effective able to take on the heaviest of German tanks from long ranges. The SU-85 first found service with SU-122 crews who had lost their vehicles in ferocious combat. In April 1942 several Soviet design bureaus were ordered to design an armoured assault gun mounting 122mm or greater weapon. The most successful design to emerge from this process came from the Uralsky Machine-Building factory, designated the U-35. This design was to go on to become the SU-122, and it was fully adopted, after extensive trials, in December 1942. The SU-152 heavy self-propelled gun, Called the Big Game Hunter or Zookeeper, was an effective antidote to the German Tiger and Panthers tanks. This was the 152mm ML-20 gun-howitzer mounted on a KV-1s hull. 704 were produced, but only a single regiment (6 batteries of 2 SU-152) was available in time for the battle of Kursk. The 152mm gun-howitzer fired a massive Armour Piercing High Explosive (APHE) shell that would smash any tank in existence at the time. 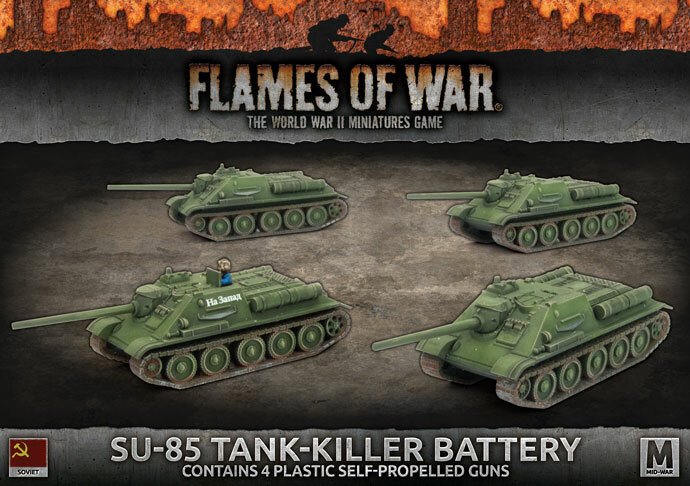 As Soviet factories began to turn out enough T-34 tanks to equip the tank brigades, production of light T-70 tanks switched to SU-76 self=propelled guns instead. Cheap and simple, they allowed the artillery to roll forward with the tanks and infantry, engaging the enemy over open sights. The US M3 Scout Car was another piece of Western equipment sent to the Eastern Front to aid the Soviets in their battle against the invading Wehrmacht. 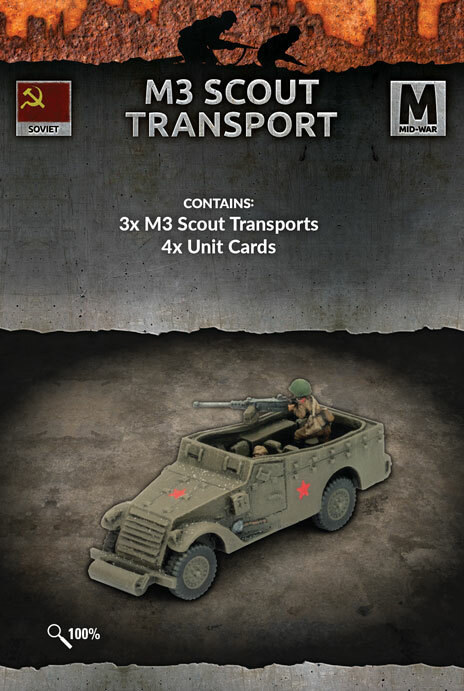 Employed by the Red Army’s reconnaissance companies, the M3 Scout Transports were used to dash forward through machine gun fire, returning fire with their own .50 cal MG. Once at close range, the infantry would dismount and assault in a short and bloody attack. 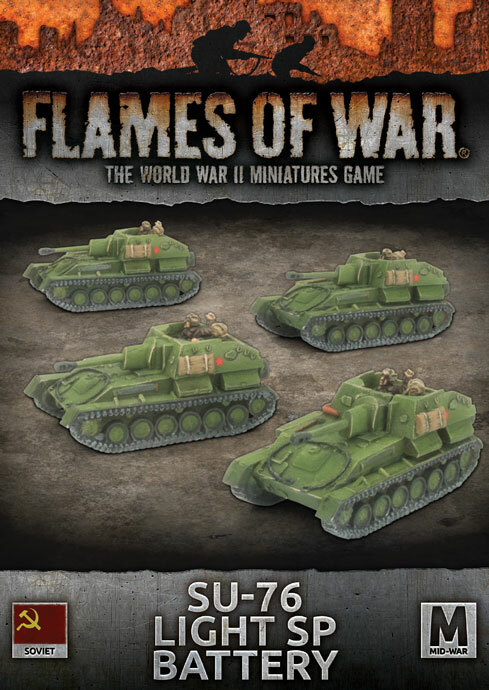 For a limited time only boxes of Unit Cards will be available for each Flames Of War Mid War book. The packs will contain one of each Unit Card that relates to their book. 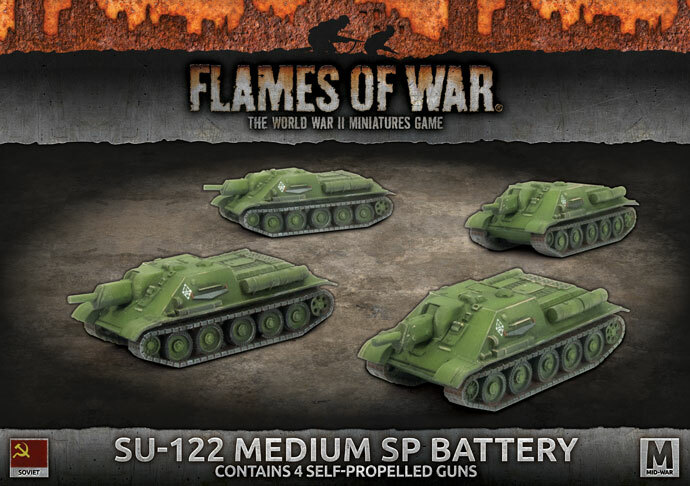 The packs have been designed to assist existing players that have already bought our miniatures and built their armies under previous editions and want cards to help transition to V4. 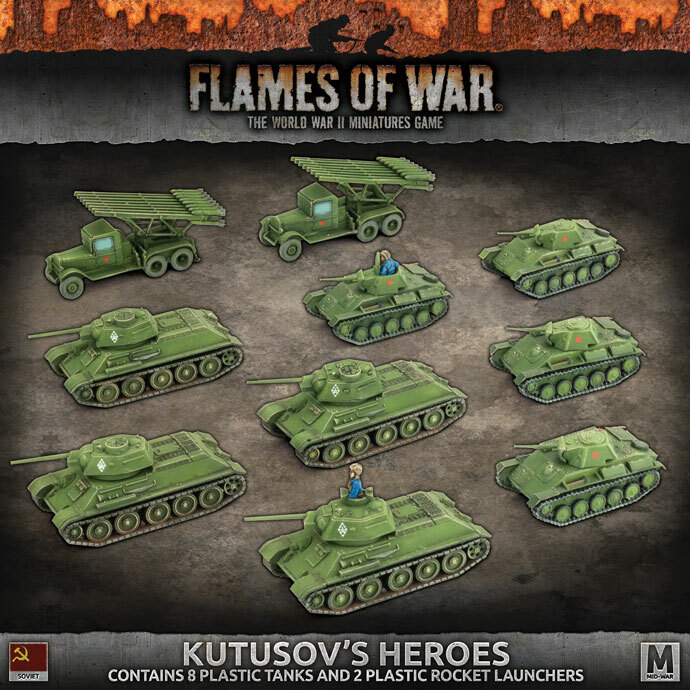 Command Cards allow Flames Of War generals to field iconic warriors, build new types of units, field new types of equipment, enhance your commander’s capabilities, and bring new tactics and strategems to the battlefield.